Yes, we’re still ThermalRite—now housed under our larger unified parent brand—Everidge. ThermalRite—with its strength as a maker of foodservice, institutional and specification lines of refrigerated walk-ins and other cold food equipment—has combined with other premier brands, available now from Everidge with our best-in-the-business customer service guarantees. Everidge is proud to continue providing your high-quality, affordable, and customizable refrigerated solutions. 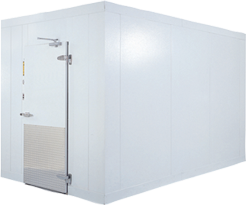 ThermalRite walk-in cooler and freezers enable both commercial and non-commercial foodservice operations to create the cold kitchen storage that best suits that environment. 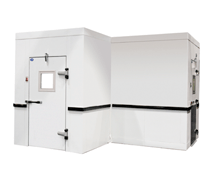 Depending on kitchen size, exact foodservice application, storage needs, or servers’ ease of access, ThermalRite walk-in cooler and freezers can be customized to fit. Our walk-in units feature high-density foam rail construction, offering solid, high-quality construction and durability due to the rigidity of our panels. Learn more about the other products under the ThermalRite brand by clicking the links below.